Jimmy Rollins is my favorite player on the Phillies. I think with last night's win over the Reds that he may become the favorite Phillie of a few more fans. From the start of the year Jimmy Rollins has brought some spark to this otherwise kind of dull team. Yes, there's been highs and lows for Jimmy this year, this will happen to most of the players in the MLB, but I do believe that Rollins wants this to be the year for the Phillies to make the playoffs. He's a great professional that hustles everytime out there. So, bring on those Mets! It's less than an hour away from game time as I write this, the skies in South Jersey are sputtering with rain so I hope the weather is better in Philly! Chris Coste is returning back from the minors and this could be another chance for him to shine in some limelight! Coste will answer the call again for the team, I think that is one of the worst moves that the Phillies did this season in not bringing Coste up with the team this year. It just doesn't make sense to me that a fan favorite and a guy that came through big time with the Phils last year, gets sent back down in order to bring in someone who is unproven to the Phils like Barajas was. The Phillies have moved into second place, that's the good news! Thanks to a four game losing streak by the Atlanta Braves, the Phillies have found themselves in a strange position of second place even though they have only won 1 game of each the last two series since sweeping the White Sox. The Phils have mustered only one win against Detroit, and one against the Cleveland Indians with both wins coming on the middle game of the 3 game set. This ended the Interleague series for this year and now the Phils are back to their regular league opponents. The news was not good either as Jon Leiber will probably miss the rest of the season. So two of the Phillies pitchers who were originally penciled in as the starting rotation are now missing. Kyle Kendrick has moved into the starters role from the minor league and so far he's done a great job to keep the Phils in ballgames. Adam Eaton had another of those 'rough outtings' yesterday as he gave up near his era of 5.67 with 6 runs given up to the Cards in 5 and 2/3's of his innings pitched on Saturday. It is tough for a team like the Phils to have to score more than 6 runs a game when Eaton pitches just to get even with the other team. Maybe the Phils call ups will produce another Cole Hamels type pitcher that is in the Phils minor system when they get their call up to the bigs. That is the best we can hope for now, as the Phillies have said that they will fill Lieber's spot internally. Lieber hasn't been a 'lights out' pitcher for the Phils so far this year, he's 3-6 with a 4.73 era at the time that he is going on the DL. So the prospect of having a decent minor leaguer doesn't really scare me all that much. I would like to see the Phillies change direction with both Lieber and Garcia and go with a younger pitcher that has great stuff. I feel both Lieber and Garcia have already pitched the best games and I'm not impressed with either of them. The Mets funk appears to be over for now, their slide over the past 15 games has been dramatic compared to the way they started off. The Mets just beat Oakland again yesterday and go for the sweep of Oakland today even with those wins the Mets June record going into today 6/24 is: 6 - 14 . That is incredible that the Mets have held onto first place and the Phillies haven't been able to capitalize on this. Is the Mets slide over? Or is Oakland just a terrible team? After today's game with St. Louis, the Phils head home with an off day on Monday, then the Reds come to town for three games and those NY Mets come into Citizens Bank Park for a four game set, a series that can great possibilities for the Fightin' Phils! The game yesterday was one of those classic days at the ballpark, hot, humid, and full to capacity. There was an excitement in the air. It was Father's Day 2007 and the second largest crowd ever to see the Fightin' Phils play at Citizen's Bank Park showed up. I knew it was going to be close to a record crowd early on, we arrived at the ballpark over an hour early for the game and already the Ashburn Alley was crowded to capacity. There were only 2 small lanes where people could navigate around the people that were lined up for cheesesteaks, burgers, and pizza at Ashburn Alley. The heat tested the stamina of the fans that was for sure. The game proceeded along with a game where the ball was lively early on. Neither pitcher would get a 'no hitter' today. Jason Verlander was poised to become only the second pitcher to pitch a back to back no hit game, but it wasn't to be. I thought to myself when watching Verlander pitch, what a great delivery he has to the plate. I was comparing his delivery to Freddie Garcia's and it really struck me on how confident and the way that Verlander approached batters as opposed to the slow, disorganized method of Garcia. The Phillies got to Verlander early enough to show that he was hittable and it looked as though the Phils might be sending home all the Dads, there cheering them on, home happy. Detroit had other plans though, they stayed at arms length of the Fightins and got to Eaton in the 7th but most of the fans wanted Eaton to stay and try to pitch out of the trouble. He certainly looked mad at coming out of the game as well, perhaps Manuel didn't want him to be the losing pitcher. Geoff Geary came in to game for a cup of coffee and he got the loss, then Manuel continued to change pitchers much to the chagrin of the fans. Pitching seemed to lose the game for the Phils but also another stat that didn't look too good was Ryan Howard going 0-5 and leaving many runners on base, and J Roll who is normally relied upon to produce only mustered to go 1-5. So those two batters go 1-10 and left plenty on base for the Phils. Howard is getting scary, yes he has hit some homeruns lately but I don't know if Howard will ever get back to his form of last year. The Cleveland Indians are up next, but we have Cole Hamels going for the Phils tonight. Special Father's Day edition of Fightin' Phils Audio blog. The Tigers and The Phillies face off this afternoon on Father's Day and they face Jason Verlander who is coming off his 'No Hit' game on June 12th. Hear the preview of the game and 'No Hitter' history of both the Tigers and the Phillies. 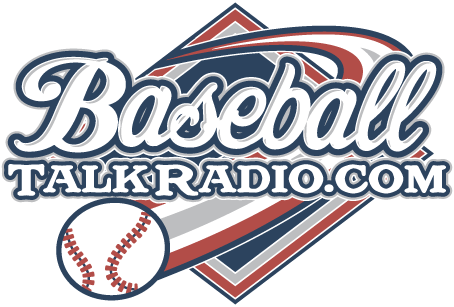 All this and more on the June 17th Father's Day Fightin' Phils Blog podcast. Happy Father's Day! Back with another show in time for the Detroit series. I talk about how great the Phillies are playing, with some previews on this weekend's series against the Tigers. Join me on Fightin Phils 2007 audio blog for the June 14, 2007 show. I can get use to this, the Phillies dominating night after night and getting the job done! Cole Hamels turns in another gem as he coasts in with 9 wins and leads the NL in wins. A sweep of the Sox would be great today, but even if it doesn't happen I like the way things have been going for the Phils lately. Freddie Garcia finally found his problem of why he couldn't locate pitches and get good velocity on the ball. He may be finished for the season, and for his Phils career, but at least he's not out there costing the Phillies games. He looked like he had promise, and I wish he had worked out but it is not to be or at least at this time it looks like Garcia may be done for the season. Thome may come back to haunt us in this game today for the businessman's special. As of the time I am writing this Thome had just come up to bat and tipped his helmet in appreciation to the standing ovation he received. I like watching the Phillies on ESPN. There you get an honest viewpoint on what other broadcasters that aren't being paid by the Phillies feel about the team. The question was brought up of what exactly has been the reason for the ups and downs of the Phils lately. The answer was a 'lack of intensity' by the team to go out there and play hard all the time. A reference was brought up that the team played with great intensity against the Mets and the Braves and then seemed to let that hustle of agressiveness slip away. That is an easy answer in hindsight to answer that question that has hounded many of the fans of the Phillies for the last couple weeks. The most popular player on the Sox, Jim Thome, will not see action in the first two games. That was announced prior to game time, I am sure everyone who bought tickets expecting to see Thome in action has been disappointed. It's almost like going to Rome and finding the Pope will be away for the month on other activities! Here's some numbers on Thome: in 2006 after leaving the Phillies, Thome played in 143 games for the Sox he had an incredible 490 AB's and 42 homeruns for the Sox while batting .288. He was voted as an All Star in 2006. So far in 2007 he has played in 39 games for the Sox and hit 8 HR's so he has trailed off a bit this year. He is projected to hit at least 29-30 HR's total for this season though on ESPN's projected totals section of their player bios. Thome has been a DH for the Sox, so he isn't playing the field like he had to do with the Philadelphia Phillies. He may be moved to first base soon, says some reports from the White Sox team. The broadcast team of Rick Sutcliffe and Dave O'Brien made some objective comments compared with some of the comments by our own Phillies broadcasters who are paid by the team. Our guys are great don't get me wrong, we should still have a campaign to bring Scott Graham back too!, but in 2007 the MLB doesn't black out the game locally anymore so you can tune in to get that national broadcast opinions that aren't really influenced by the Phils. Adam Eaton has pitched 6 strong innings as of the time I am writing this blog entry, and Burrell and Howard have gone yard already. Is this the start of a long winning streak at home? Speculators have guessed that the Phils make make a trade this series with the Sox, or some other team. I think the Phils stand pat here, they keep this bunch of players for now. No moves in the next 10 days at least concerning a trade. Pat the Bat, saves the sweep with a 9th inning HR! The Phillies played a great series against the Mets at Shea. Despite many dubious calls from the umpires the Phils handed the Mets a three game sweep and moved within 5 games of first place. The Mets have to be a bit unsettled over this. The Mets bullpen allowed the Phillies to creep back into 2 games that the Phils eventually ended up winning. What seemed to be a lost season, is now looking much better now with the Phillies going into KC with a day's rest for a weekend series in Kansas City. The beer and steak dinners have got to taste better to the Phillies players out in Kansas City who are no doubt probably impressed with what they did to the Mets! Chase Utley had to be the series MVP during the Mets games, with Jimmy Rollins a close second. Let us not forget how Pat "The Bat" Burrell has pummelled the Mets either, say what you will about Burrell but he's still a guy that I like playing for the Phillies! He's not Babe Ruth, but he's been much better this year even though recently it looks as if 'The Bat' has slipped in his numbers. The Phillies will play the next 12 games on an American League swing, they could even find themselves in first place at the end of the Interleague matchups if they continue to get the job done like they have been doing. Clutch hitting, great pitching and a big will to win, have gone a long way for the team. A lot of local Philadelphia sports talk shows had basically written the Phillies off, here's egg in their face! Howard Eskin said that they were "done" just the other day, I guess he and others will be singing a different tune now that the Phils have sweep the Mets like they did. 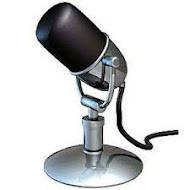 Hopefully, I'll get back to doing some audio podcasts for this blog. I've got so much to say about the Phils and not too much time to do it. The Fightins took on the mighty Mets last night and actually impressed me with the way that they hung in the game and came out with the victory thanks to great play by Chase Utley and others. As have been noted in several media stories, the Phillies need to play tough and win this series. Jamie Moyer kept the Phils in the game and Ryan Madson and Geoff Geary kept the wheels on going into extra inning to give the Mets their first extra innings loss this year. I used to really like the Mets and have been to Shea many times. I couldn't help but think about Shea Stadium as it is nearing the same fate as Veteran's Stadium after the 2008 season. I looked at the seating areas on television and appreciated all the room that the fans have in the first level and throughout the stadium for that matter. Shea Stadium was built with some comfort for spectators in mind. Citizen's Bank Park is another matter, except for the Diamond Club and Hall of Fame level, fans are literally packed in like sardines. 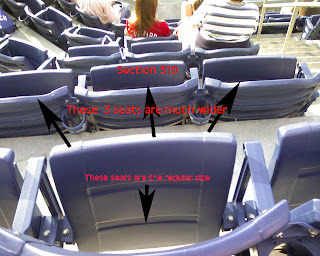 The stadium areas apart from the size of the seats themselves are first class, but when it came to making the seat size someone goofed! I am around 6 feet tall and a bit on the heavy side so when I sit down I am literally shoulder to shoulder and knee to knee with the person in the next seat. Take a look at the next home game on TV, you'll see that people are packed in like fish and are way too close to one another. That's a major problem in a stadium where your paying more money than ever to see a ballgame. Give us some room please !!! The Vet was much roomier than these seats at Citizens Bank Park and I would assume, the new seat size at Mets Stadium , to be called Citi Field. So another big part of baseball that I grew up with is going to be blown to smithereens, the famous Shea Stadium. Join us on the Philly Sports Talk Now! Blog later tonight after 10 pm for the next edition of our podcast where we talk Philadelphia sports! Barry Bonds has landed again in Philly, despite his cloud of suspension of steroid haze that follows him, nothing has happened to him and even some Philly players mingle with him like he's the best thing since sliced bread! Bonds and the ‘Juice’ Why Hasn’t Bonds Been Suspended? It seems like an old story now. The story of Barry Bonds using steroids stretches back to 1998 when most experts and testimonies of people who know about Bonds use of steroids agree that ’98 was the start of Barry’s use of illegal substances to enhance his performance on the field. The matter has been dragged in front of the US Congress, played out in front of many courts, employing many experts, and spawning many books about this, and exposed this use to a nation of baseball fans that have acted upon the information like they are waiting on a higher power perhaps the commissioner of the MLB to come out and say something to them. We’ve been waiting for years for someone in charge, someone who can make a ruling, or tell us all, that 'yes' this did happen and here’s the penalty for it. There is a strange silence on this issue from Major League Baseball. The MLB doesn’t like negative attention, in fact they probably wish that this whole situation just sails into the future under the present day situation where not much is said or done about this issue. It’s not only Bonds that could be punished in this ‘juicing’ – there are a lot of players that could or should be punished, although some are already retired. This has been a tremendous ‘black eye’ to baseball, perhaps when future generations look back at this it may well big the biggest scandal of the MLB’s history. We don’t have any suspensions, no ‘lifetime bans’ as Pete Rose received for being honest in saying that he bet on baseball, not much of anything happened to the players as this controversy developed and encircled them in this cloud of substances. As the scope of the Congressional investigation of doping in the MLB played out, many players were called to testify and it really brought this situation to the front living rooms of fans of baseball. Sosa, McGuire, Palmiero, Giambi, and these are only the bigger stars of the game that we were familiar with, there were or are probably hundreds more of lesser known players that were doing it too. To date though, not too many penalties or fines, or any repercussion of the player’s use of these substances have been handed out. The official word from the San Francisco Giants is basically silence. They simply don’t comment on it. That is really an ignorant response. You have a player that 99.9 percent positive that he has used steroids, and you say ‘no comment’. So now you have a team that covers this up for a league that appears to want to sweep it under the rug, a player that says “No Comment” about the situation and this whole controversy appears to just roll through the atmosphere unscathed. Baseball fans go to the ballpark, they boo Barry outside of San Francisco, and I suspect even some San Franciscans may count themselves amongst the fans that are telling the MLB that what went on with this situation is wrong, it’s criminal, and without saying so directly want a ‘final answer’ on this sometime before the year 2050! Bonds got away with the use of steroids with this very same cloak of secrecy and silence. He brought his own personal trainer who supplied him with steroids as a paid member of the San Francisco Giants staff, and despite the Giants knowing that something serious was happening here, they just went along in silent mode letting Bonds get away with anything he wanted to. Why? The supplier who supplied the trainer Greg Anderson with steroids who eventually got them to Bonds plead guilty to distributing anabolic steroids and got a sentence that a shoplifter may have received. He distributed these growth enhancing drugs to more than just Bonds though. A street drug dealer that peddles his drugs would have been sentenced to many years behind bars for doing this. So the story continues, it’s now almost 10 years old, and the MLB probably wishes it would go away. Well the story won’t go away anytime too soon, the All Star Game is even going to be in San Francisco this year, and maybe this is a way for the MLB to punish the San Francisco Giants for their role in the Bonds scandal? Award them a national classic game, maybe somewhere down the road we’ll see if someone is ever held accountable by the MLB for this, or maybe money, power, and politics will smooth it over and keep the real truth from happening.